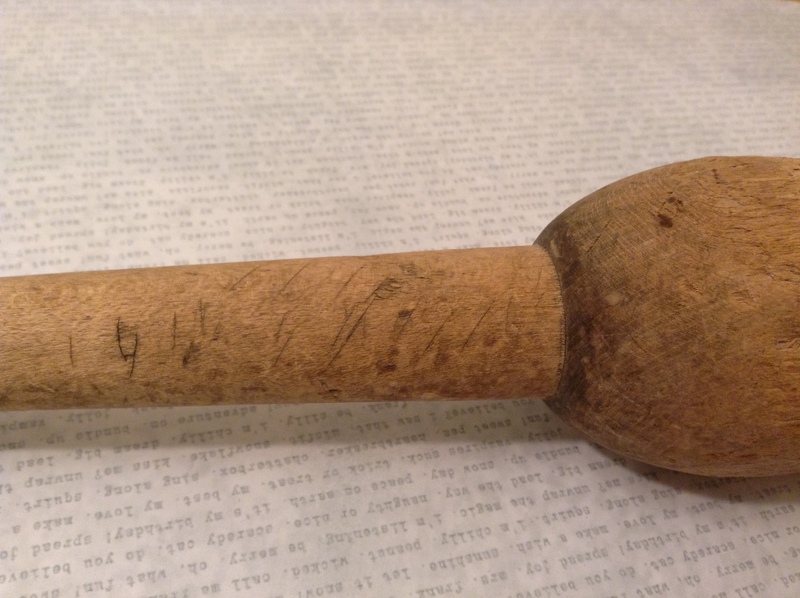 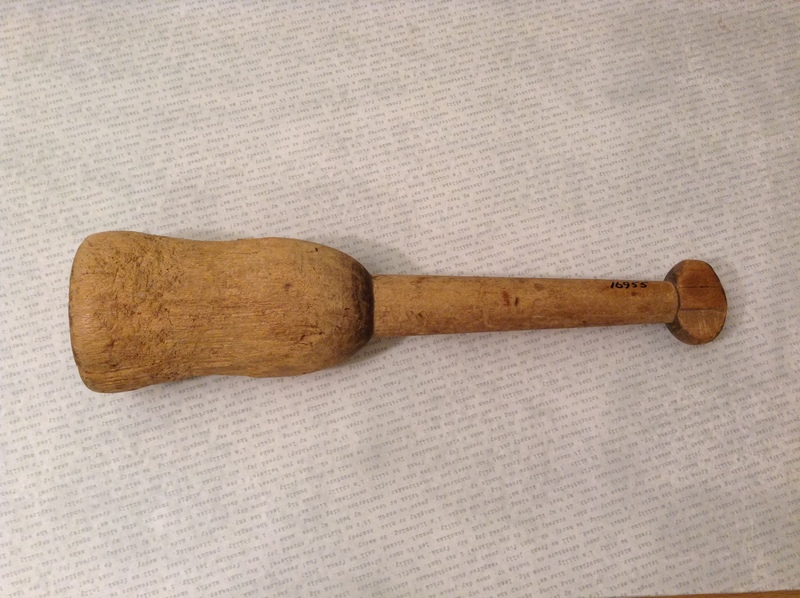 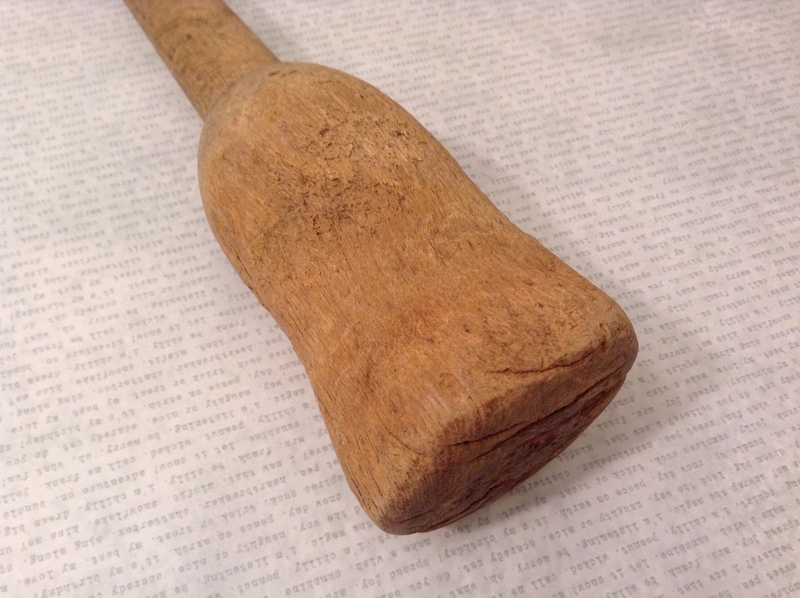 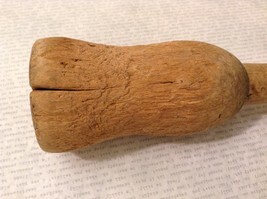 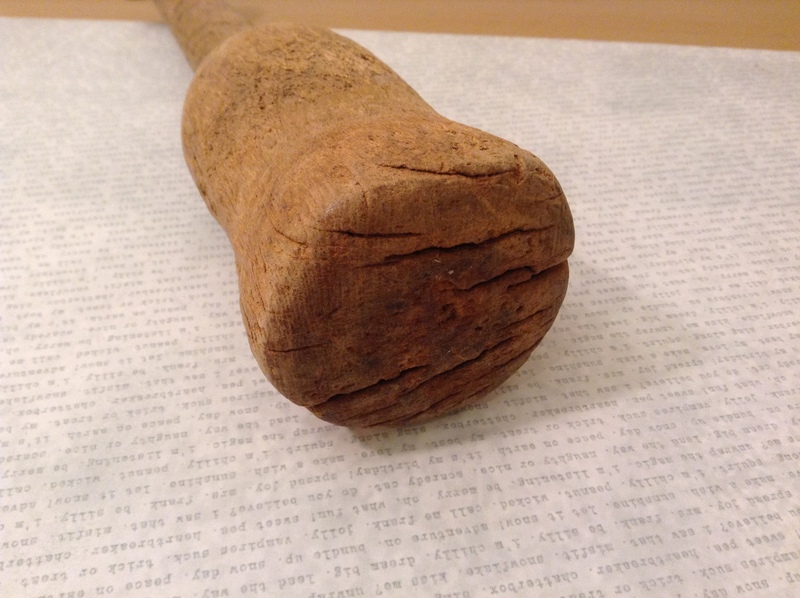 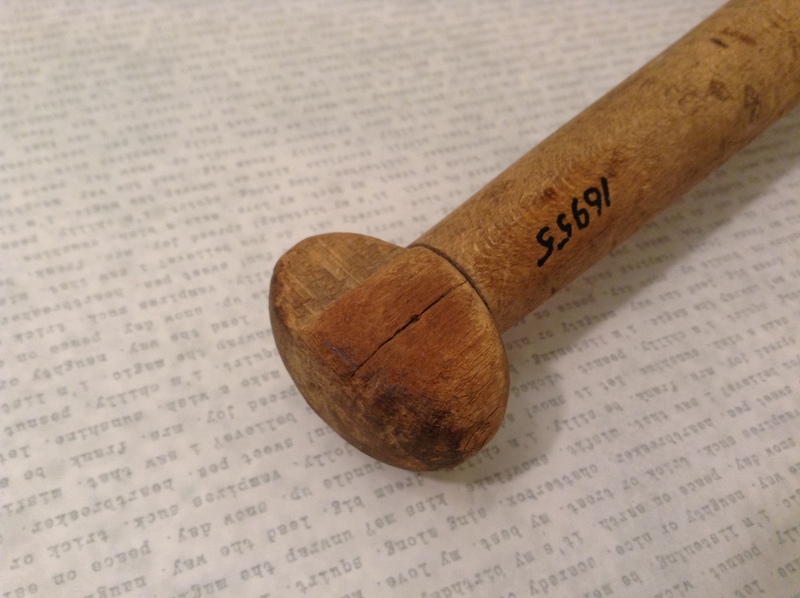 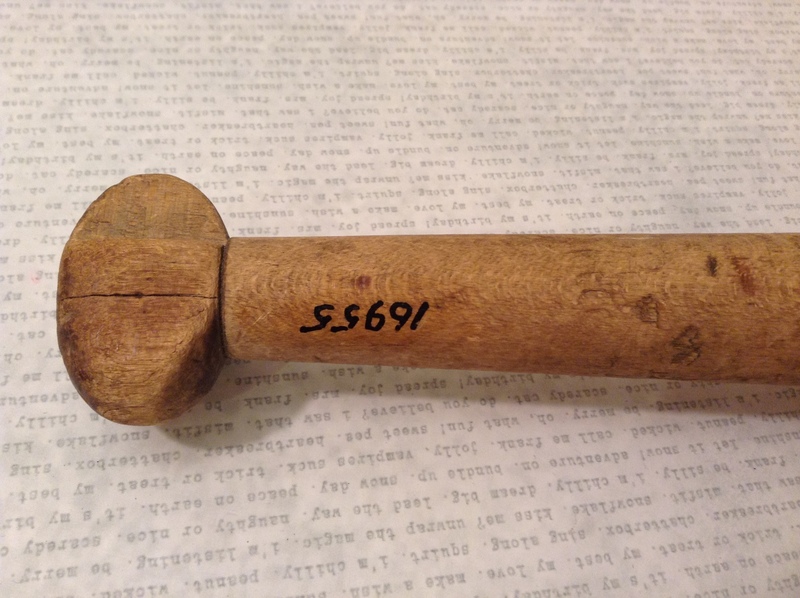 Antique Wooden Carved Mallet Pestle Potato Masher. 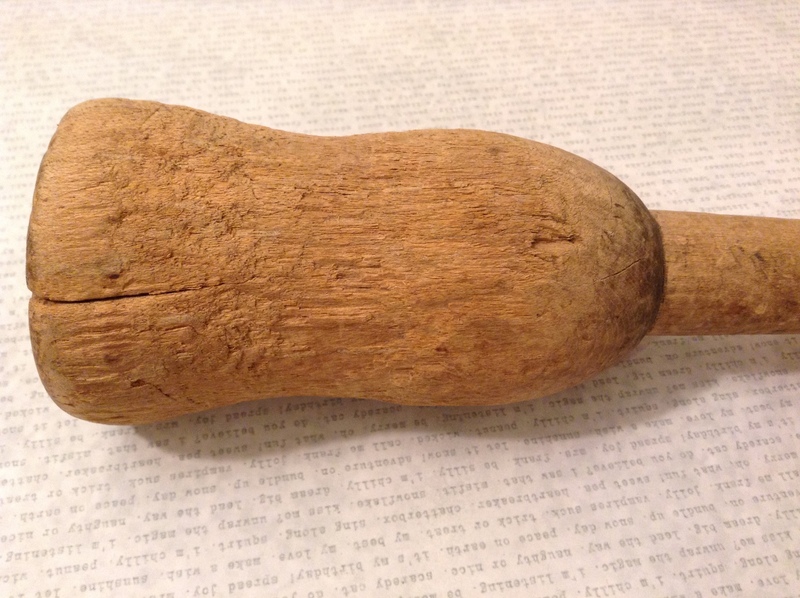 Carved out from one piece of wood. 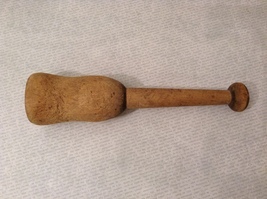 Very old, wood splits on bottom, top of handle has a chip, but smooth from using. Measurements: 10-1/2" Long, 2-1/2" Wide at the bottom.